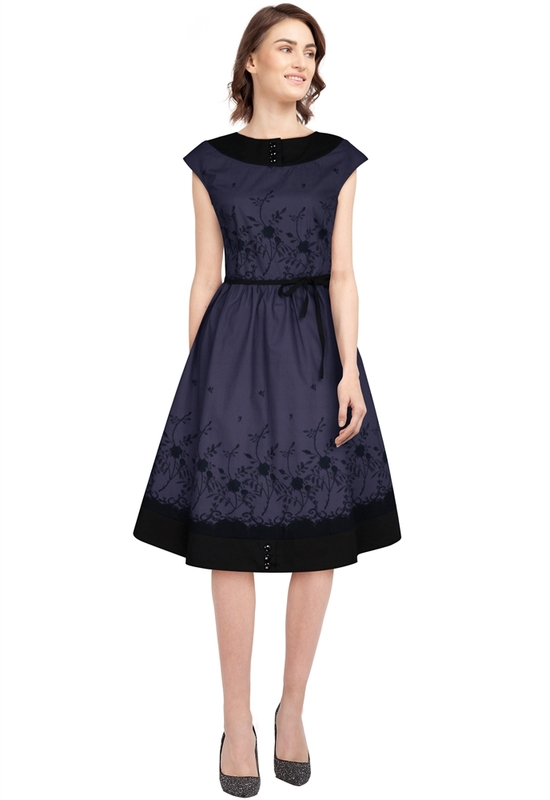 It's a retro dress with trims and buttons in neckline and hem line. Belt ties in waist. Back center zip. The petticoat is not included. Hello Lili, It's dark brown with purple. Thank you. Hello Lili, It's brown. Thank you.